According to a recent study published by the National Bureau of Economic Research, employer discrimination against job applicants with disabilities remains widespread—even in contexts where their disabilities might make them more effective workers. "Unfortunately, the results of the study do not surprise us," said Curt Decker, executive director of the National Disability Rights Network. He pointed to the fact that the unemployment rate for people with disabilities was 12.5 percent in 2014, compared to 5.9 percent of people without disabilities. The research was conducted by NBER submitting 6,016 fake applications for junior and senior positions at accounting firms. One third of the fake applicants mentioned having Asperger's Syndrome—which the researchers noted could make a candidate particularly suited to the largely technical and solitary work of accounting. Another third mentioned a spinal cord injury in their cover letters, while specializing this injury would not interfere with their job. 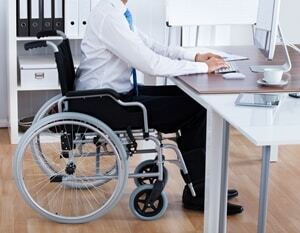 The final third of the fake applications did not disclose any disability. The results were clear: Applicants without disabilities were 26 percent more likely to garner interest from an employer than their disabled peers. This was particularly acute amongst companies with fewer than 15 employees, where the Americans With Disabilities Act does not apply. These companies showed considerably less interest in following up with disabled job candidates than did large corporations or companies receiving government contracts—who the report states showed no sign of discrimination. The employment discrimination lawyers at The Meyers Law Firm are here to help. If you feel you've been the victim of discriminatory hiring practices due to disability, race, gender or any other reason, contact us today so we can review your case and advise you how to proceed.